Childhood obesity is a nationwide epidemic, and a parent with a personality can change that. 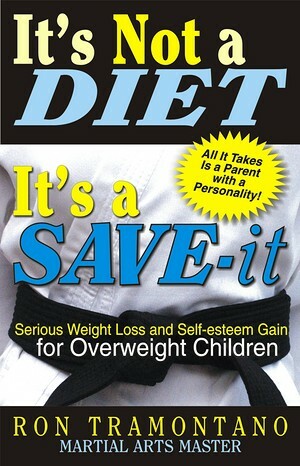 Martial Arts Master Ron Tramontano offers a parent/child resource on weight loss for children. Parents are taught how to liven up and get more animated in helping their child achieve weight loss, as well as how to learn about food and portions. Young children are taught how to "save" calories and are encouraged to talk to Master Tramontano (with parental permission, of course) about their progress. Older children (teens) are encouraged through the tenets of the Martial Arts form of Tang Soo Do. All readers are encouraged to see a doctor before making a change in diet, to get counseling from a registered dietician or to attend a nutrition class taught by a registered dietician.